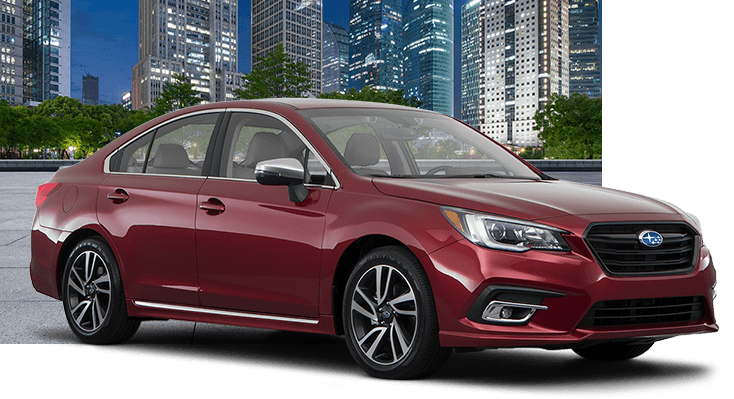 The 2019 Subaru Legacy is a midsize sedan that stands so far above the crowd that it hardly seems fair. 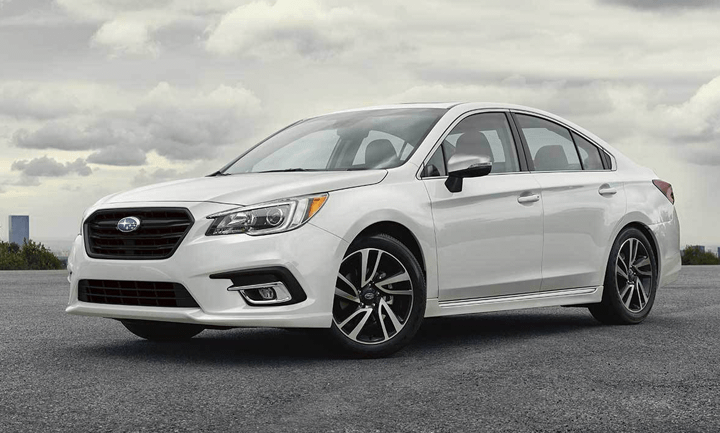 You'd be pretty hard pressed to find another midsize sedan that comes with standard all-wheel drive--especially one that's as affordable as the Subaru Legacy. It also has legendary Subaru reliability: 96% of Subaru Legacy vehicles sold within the past decade are still on the road today. It's comfortable, advanced, and simply fun, and Subaru Superstore is excited to carry it. Keep reading to learn more about what the Subaru Legacy has to offer, and be sure to schedule a test drive. Want that same Subaru quality in a bit of a smaller package? The Subaru Impreza might be right for you. Or, check out the Subaru Ascent if you need seating for more people. 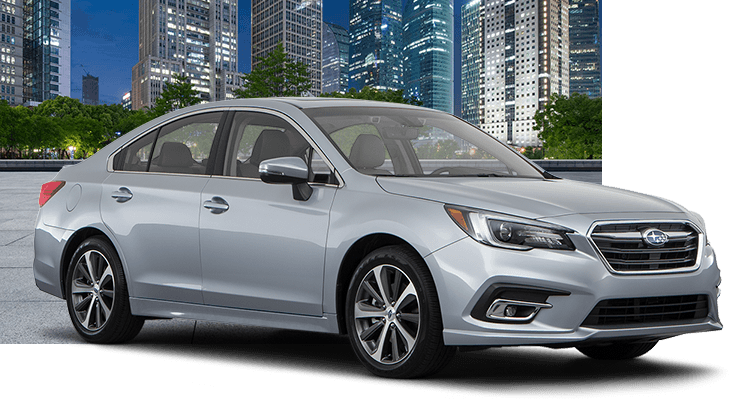 The Subaru Legacy is a truly high-quality car both inside and out, and its standard features will make you surprised at how affordable it is. 104.6 cubic feet of passenger volume give everyone room to stretch out, and the 15-cubic-foot trunk means that you can store plenty of cargo on your drive. The cabin is made from high-quality materials that reduce noise and create a plush experience for driver and passengers alike. 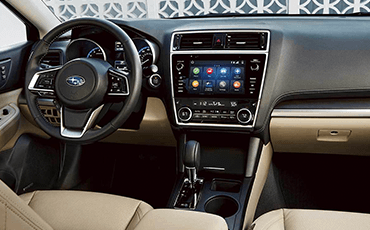 The interior of the 2019 Subaru Legacy also comes with top-quality tech. 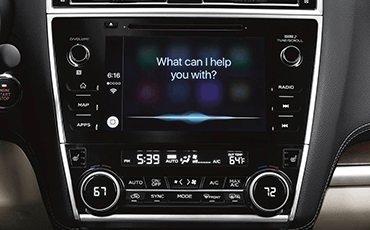 The STARLINK™ multimedia system lets you stay connected with Bluetooth® connectivity, Apple CarPlay™, and Android™ Auto. There are several impressive audio options, but it's hard to beat the available twelve-speaker Harman Kardon premium audio system. 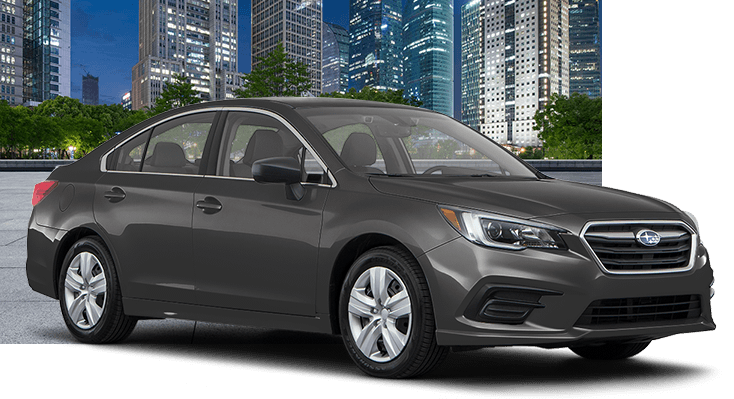 Subaru takes your safety as a top priority, and this is obvious in the 2019 Subaru Legacy. 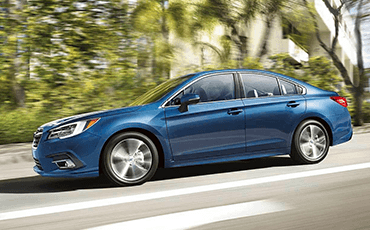 Already, this midsize sedan has earned five-star safety ratings across the board from the National Highway Traffic Safety Administration--and this is just the start! In contrast to most midsize sedans, which tend to be front-wheel drive vehicles, the Subaru Legacy comes with Symmetrical All-Wheel Drive. This gives it extra traction, even on poor road conditions and dirt roads. The safety doesn't stop there. 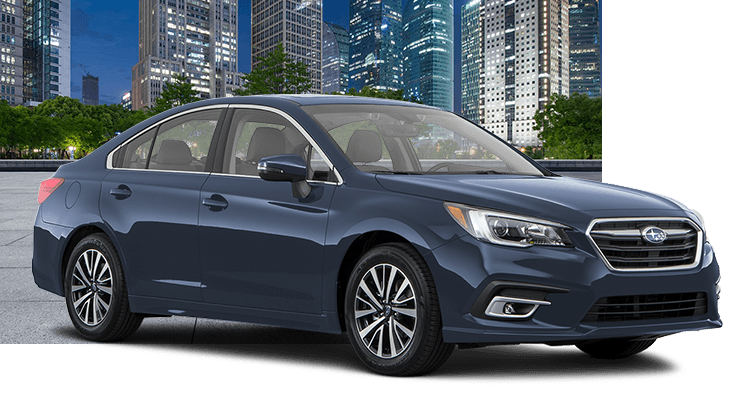 Every 2019 Subaru Legacy is equipped with Subaru EyeSight®, which has been shown to reduce rear-end collisions with injuries by up to 85%. EyeSight&Reg; combines Lane Keep Assist, Automatic Pre-Collision Braking, Adaptive Cruise Control, and Lane Departure and Sway Warning. You can also add available upgrades like Reverse Automatic Braking and Blind-Spot Detection with Lane Change Assist and Rear Cross-Traffic Alert. 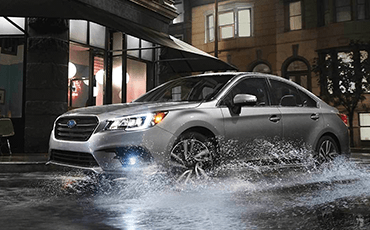 When you choose the 2019 Subaru Legacy, you get to choose one of two SUBARU BOXER® engines. The standard four-cylinder BOXER® engine generates 175 horsepower and gives you up to 34 miles per gallon. The available six-cylinder BOXER® engine is more powerful, putting out 256 horsepower and 247 pound-feet of torque. 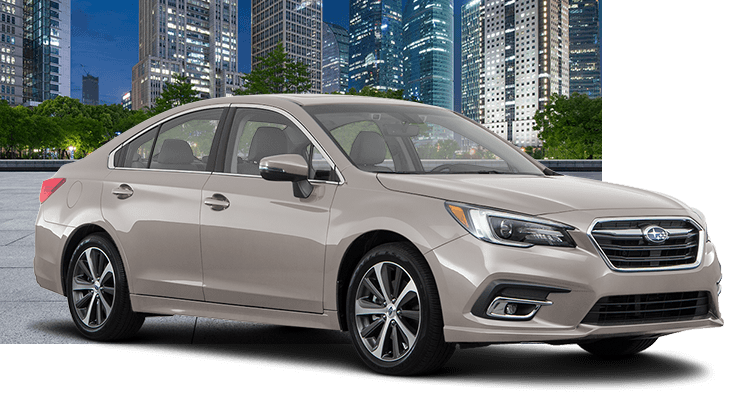 No matter which trim level you choose, you'll find that the 2019 Subaru Legacy is a fantastically well-equipped car. The entry-level Legacy 2.5i trim starts out strong with a STARLINK™ 6.5-inch Multimedia Plus system that comes standard with connectivity through Apple CarPlay™ and Android™ Auto. 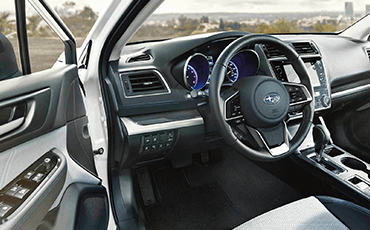 The paddle shifters give you greater control over the transmission, and the standard Subaru EyeSight® Driver Assist Technology provides exceptional safety. Even packing is more convenient in the Subaru Legacy 2.5i, thanks to the standard trunk underfloor storage tray! As impressive as the entry-level trim is, the 2.5i Premium offers even more! Heated front seats and dual-zone automatic climate control mean that everyone will be comfortable. Meanwhile, the driver gets a little extra comfort thanks to a 10-way power adjustable driver's seat with power-adjustable lumbar support. Dual front and rear USB ports, a six-speaker audio system, and upgraded STARLINK™ 8" Multimedia Plus system make the interior even more technologically advanced. And when you're driving home at night, you'll love the convenience of the standard auto-dimming rear view compass mirror with HomeLink™. The Subaru Legacy 2.5i Sport is designed to make people admire it--though its sporty performance means that they'll have to be quick! 18-inch aluminum-alloy wheels and chrome trim create an impressive exterior look that's further complemented by LED fog lights and a rocker spoiler. Keyless Access with Push-Button Start makes it easy for you to hop in and get going! The premium interior of the Legacy 2.5i Limited delivers a distinctively luxurious drive. Heated rear seats and a power-adjustable front passenger seat are joined by leather-trimmed upholstery and unique interior trim features. You'll enjoy listening to your music even more with the standard 12-speaker Harman Kardon premium audio system. The Subaru Legacy 3.6R Limited is almost identical to the Legacy 2.5i Limited. The one difference? This trim level is equipped with a more powerful six-cylinder engine with 256 horsepower and dual stainless steel exhaust outlets.